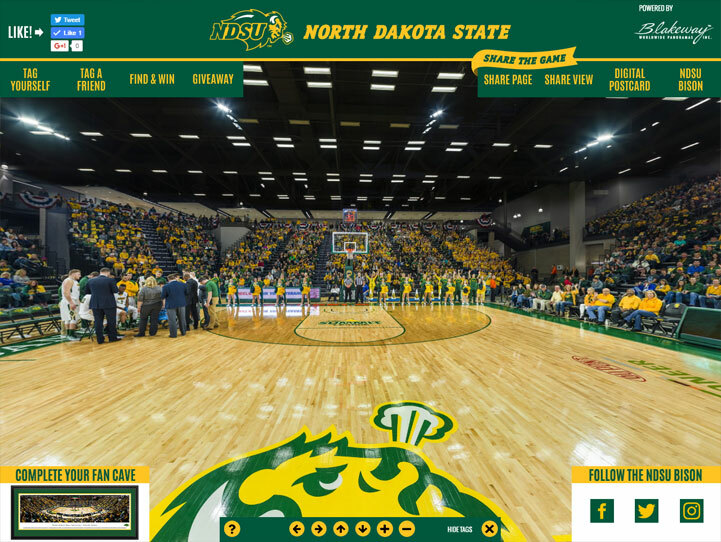 This panorama spotlights an inaugural moment, the opening tip-off, at the first regular season game at the SCHEELS Center on the campus of North Dakota State University. On this memorable evening, the Bison™ played host to the Arkansas State Red Wolves™. This new arena is home to the NDSU basketball and wrestling teams and features a center-hung, four-sided video display, retractable seating for practice, a club room and upper concourse that provide a birds-eye view of the court and seating capacity for approximately 5,700 fans. SCHEELS Center is part of the Sanford Health Athletic Complex devoted to student-athletes and provides training, sports medicine, academic and administrative facilities.